Erie County Executive Kathy Dahlkemper joins Wolf transition team. Erie County Executive Kathy Dahlkemper has been named co-chair of the transportation review committee for Gov.-elect Tom Wolf's transition team. 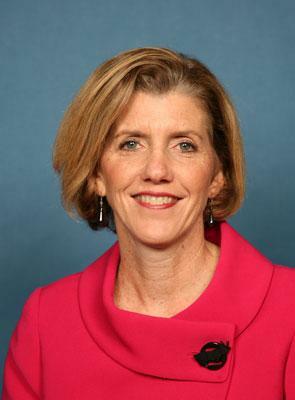 Dahlkemper, who served in the U.S. House of Representative (D-PA3) from 2009-2011, will review transportation infrastructure and policy for the Wolf administration. Dahlkemper joins Edinboro University president Julie E. Wollman, who was invited to join the Wolf transition team earlier this month, in representing northwest Pennsylvania as Wolf prepares to take office in January. The appointment of Dahlkemper and Wollman to the Wolf transition, in addition to the existing relationship between State Rep. Ryan Bizzarro and Gov.-elect Wolf, may signal the foundations of a positive relationship between the Erie region and Harrisburg. Wolf, a York native, will be sworn in as the 47th governor of the Commonwealth on January 20, 2015. The Wolf transition has been privately funded. Donors will be publicly disclosed on the Wolf transition website in two disclosures, the first on January 15 and the second on March 30.